Buying a house? Get a mortgage discount. BANKS are offering discounts up to 1 per cent off their standard variable mortgage rates to stimulate the home loan market ahead of the crucial spring selling campaign. With loan growth across the market having dropped back to just 6 per cent over the 12 months to June 30 from an annual average of 8 per cent over the previous two years, lenders are using a range of cheaper offerings to tempt reluctant consumers. The push is being driven by the banks’ own lower lending costs as they recycle a huge increase in customer deposits into mortgages. 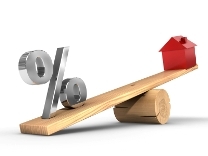 A reduction in deposit interest rates in recent weeks has given lenders greater flexibility to counter high mortgage rates that are about 7.8 per cent for a standard variable home loan. Commonwealth Bank is now funding 61 per cent of its loan needs from deposits as opposed to the more costly channel of borrowing from international credit markets. While banks have traditionally offered discounts between 0.4 and 0.7 per cent to entice customers to borrow, the lacklustre growth in mortgage lending caused by the fall in consumer confidence has spurred new price competition. Suncorp and ANZ are leading the way, according to published rates, with as much as 1 per cent off their standard variable rates. Suncorp is looking to rebuild its small market share by offering a discount of 1.03 per cent, while ANZ will knock almost the same amount off new loans of $500,000 or more. For ANZ borrowers below that figure, the discount is 0.9 per cent. ANZ has 13 per cent of the mortgage market and is looking to hold off National Australia Bank, which has made an aggressive push over the past year to undercut its fellow big four rivals, in particular the sector leaders, CBA and Westpac. NAB is still claiming it has the cheapest mainstream mortgage rate of the majors at 7.67 per cent, which, with a built-in discount of 0.7 per cent, takes the charge down to 6.97 per cent. The two Sydney banks had 25 per cent and 24 per cent of the market as of June 30 and Westpac has just upped the discounting ante by offering 0.8 per cent off its basic rate of 7.86 per cent for loans above $500,000. As for CBA, it recently unveiled a stripped-down no-fee mortgage of 7.11 per cent, while its Bankwest subsidiary is offering discounts of 0.85 per cent on its basic rate to customers borrowing $350,000 or more. Jason Yetton, Westpac’s general manager of mortgage business, said it was a further sign of the intensive competition. He said lending growth was soft given the drop in consumer confidence.